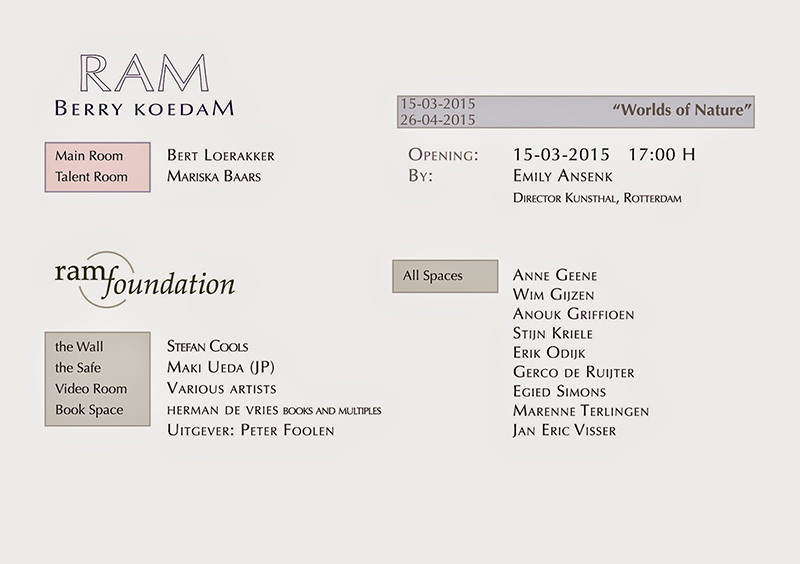 15 maart 2015 • invitation opening "Worlds of Nature"
How are plant roots interwoven? Not with warp and weft threads but with an assembly of roots. What type of treatment can I use to clean and preserve the weave? (cutting, washing, drying, shaving etc) What (combination of) plants (mostly grasses) produce the best rootweb? How can I grow sophisticated rootfabrics myself? At "Worlds of Nature" I show an installation that produces three different rootfabrics in the shape of shawls. 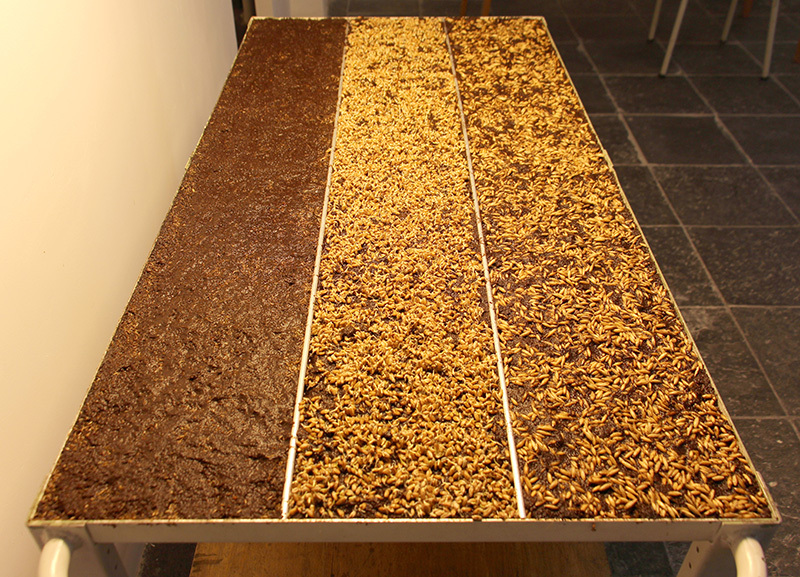 The grass will be used as well, it's juice can be pressed in a slow-juicer.